My herbs are doing great! They smell so good outside my kitchen door! I just had to come up with a recipe for my rosemary. I gave some to my sister the other day and she used hers in a pork roast. I decided to try it on pork chops, but you could also do this with chicken. 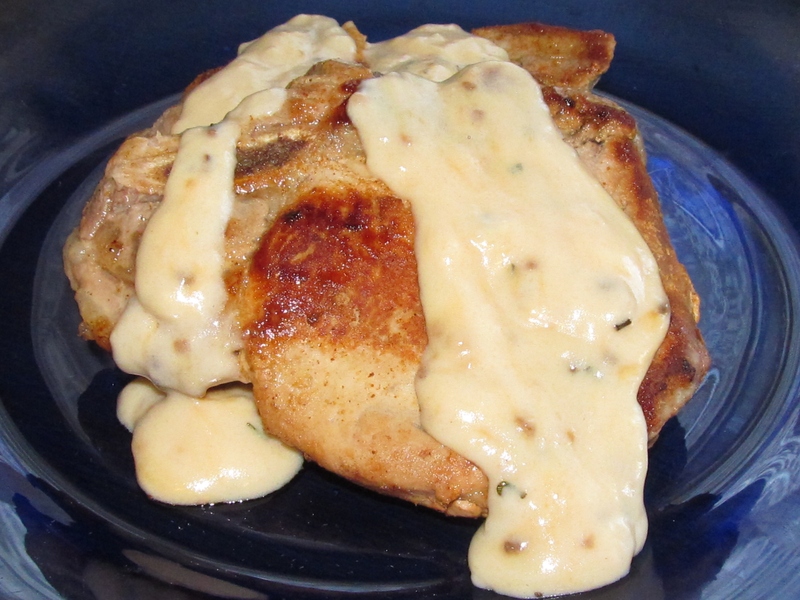 In medium size skillet, place washed pork chops in single layer. On medium high heat, cover and brown pork chops on one side for 2-3 minutes. Turn pork chops then season with herbs and spices. Cover and cook another 3-4 minutes depending on how thick your chops are. Cut through thickest part of meat to insure chops are no longer pink and they are done. Turn off heat and remove chops to a platter in order to make gravy. Add butter to meat drippings, and melt on medium high heat. Add garlic, rosemary and salt. Using whisk, stir for about 1 to 1 ½ minutes, or until butter and garlic starts to brown. Reduce heat to low and whisk in flour and stir until all lumps are dissolved, this only takes 3-4 quick stirs. Pour in milk and raise heat back to medium high, continuing to stir with whisk until gravy thickens. Remove from heat, pour over pork chops and serve warm. Enjoy!